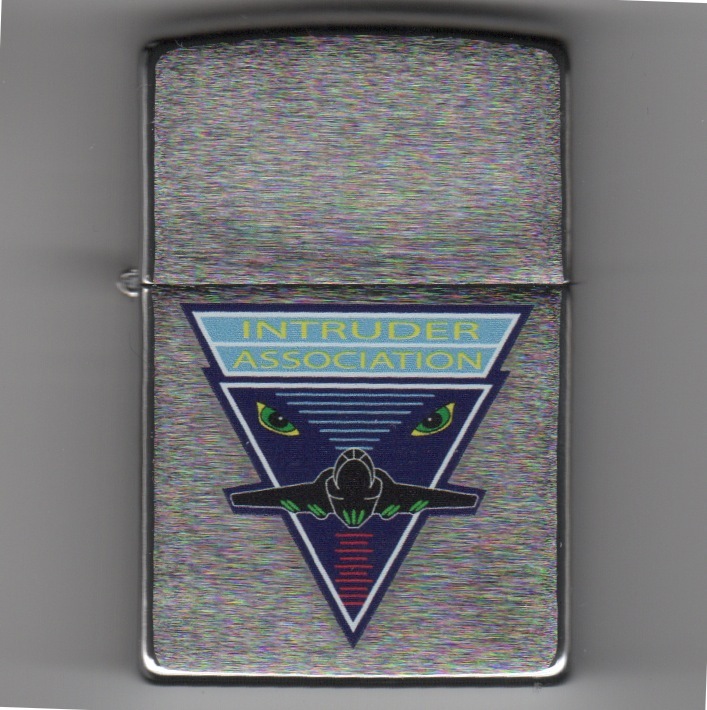 This is a silver Intruder Assoc Zippo with the Association Logo emblazoned on the front. This is a silver RRVA Zippo with the Association Logo emblazoned on the front. The "Scouts" of VS-24 fly the S-3B out of NAS Jacksonville, FL. They were established in May 1960, and were aboard the Roosevelt during the 'Storm. This is their CHROME Zippo and it shows the front and back side designs. The scan isn't very good, sorry, but the Zippo is pretty nice. The "Raptors" of the 330th Combat Training Squadron (CTS) are the training squadron for the E-8C Joint STARS and fly the E-8C out of Robins AFB, GA. 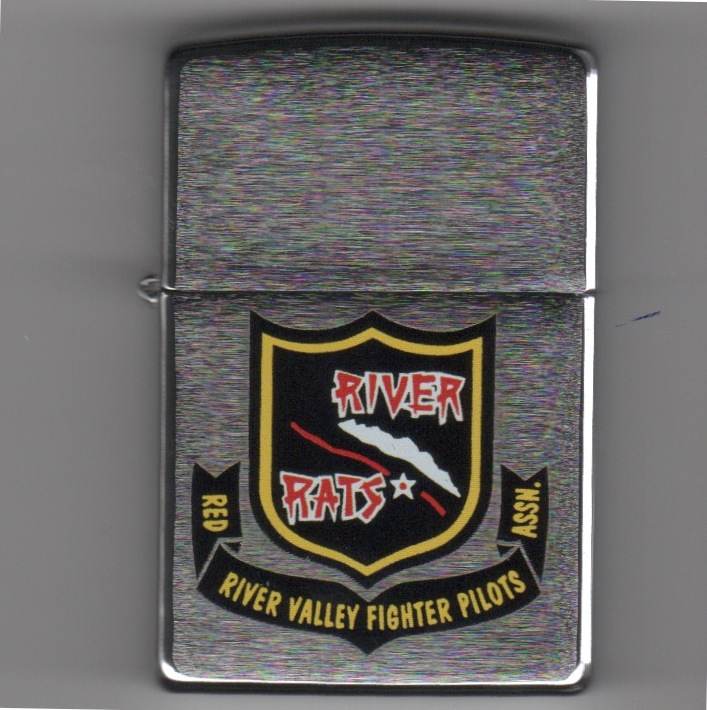 This is the front view of their black matte Zippo and it shows the NEW squadron design on the front with the aircraft design on the back side (below). The scan isn't very good, sorry, but the Zippo is pretty nice. These are based on availability from the squadron, as that's where I get them. The "Raptors" of the 330th Combat Training Squadron (CTS) are the training squadron for the E-8C Joint STARS and fly the E-8C out of Robins AFB, GA. This is back view of their black matte Zippo and it shows the E-8C aircraft design on the back with the squadron design on the front (above). The scan isn't very good, sorry, but the Zippo is pretty nice. These are based on availability from the squadron, as that's where I get them. The "Raptors" of the 330th Combat Training Squadron (CTS) are the training squadron for the E-8C Joint STARS and fly the E-8C out of Robins AFB, GA. 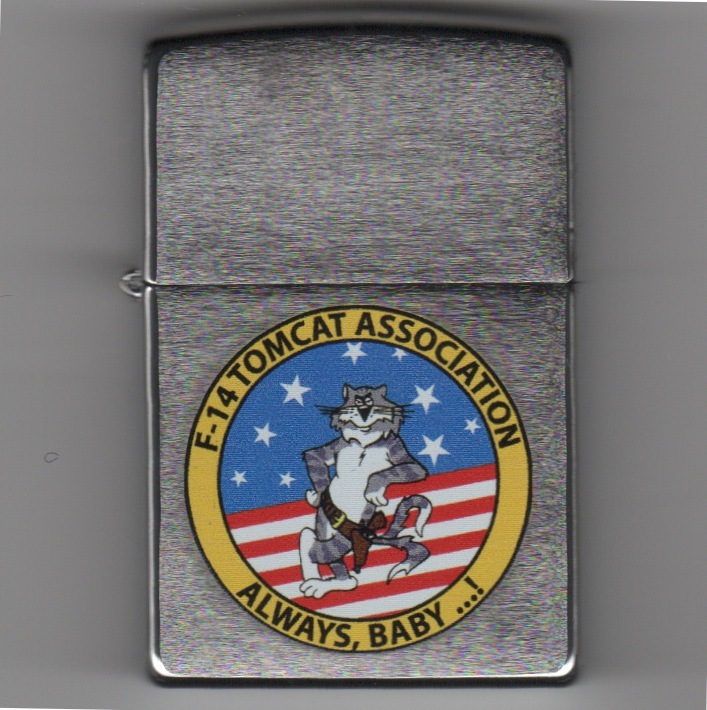 This is the front view of their chrome Zippo and it shows the NEW squadron design on the front with the aircraft design on the back side (below). The scan isn't very good, sorry, but the Zippo is pretty nice. These are based on availability from the squadron, as that's where I get them. The "Raptors" of the 330th Combat Training Squadron (CTS) are the training squadron for the E-8C Joint STARS and fly the E-8C out of Robins AFB, GA. This is back view of their chrome Zippo and it shows the E-8C aircraft design on the back with the squadron design on the front (above). The scan isn't very good, sorry, but the Zippo is pretty nice. These are based on availability from the squadron, as that's where I get them.